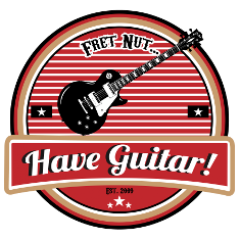 texas specials Archives - Fret nut... Have Guitar! Have Guitar is franticaly excited to present a new Kemper Rig Showcase – Live Ready Sound’s 6160 Platinum Modded pack! Live Ready Sounds offers, as allways, a big number of profiles with many sonic variations. If you can’t find a sound you like in this pack I have no idea where you should look elsewhere… These profiles recreates the sound of a Peavey 5150 Block Letter Head Platinum Modded by Voodoo Amps and they do it in style! The Peavey 5150 was the signature model for Eddie Van Halen, til he parted ways with Peavey so nowadays this model is called Peavey 6505. This amp is well known for its high gain capabilities but it does not only handle metal but softer blues and rock tones as well. For more details, see the wikipedia-link further down. Hope you liked the video! If you do please subscribe to Have Guitar and feel free to like, comment and share the video… if you don’t well… why not? Thanks for all the new sub’s – over 400 now, that is just amazing. So thanks again to all new and old subscribers for the support!! !